Controversial (in New Jersey, at least) Super Lawyers adds Jon Katz to its Maryland criminal defense lawyers list | Jon Katz, P.C. This posting follows up on my November 30, 2007, discussion of the highly subjective nature of lawyer rankings on the one hand, but my welcoming recognition in rankings and the media, nevertheless. The Washington, D.C., area, is an incredibly competitive market for providing legal services. Such free publicity helps us avoid spending much on marketing, and to focus our time on serving our clients and our revenue on quality support staff. In that regard, Super Lawyers recently added me to its Maryland criminal defense attorneys list. Fewer than fifty other Maryland criminal defense lawyers also are on the list, plus seventeen more for drunk driving and white collar criminal defense (which I also handle). Super Lawyers seeks advertising revenue from its ranked lawyers for display ads; our firm has never paid Super Lawyers a dime, so we have no display ad. – Law.com provided an update on the then-pending court controversy on June 19, 2007. – The Federal Trade Commission filed an amicus/friend-of-the-court brief opposing Opinion 39, and providing a useful chart on how the different states treat comparative lawyer advertising. This is particularly noteworthy when considering that the FTC is not always a friend of the First Amendment, including its active role to regulate cigarette advertisements (with Congress banning cigarette television commercials in 1970). – Curiously, an official May 2007 announcement from the New Jersey State Bar Association mentioned that its new treasurer had been included in the Super Lawyers list. – In January 2007, the Maryland Daily Record reported that the large Venable law firm decided not to be included in that year’s Maryland Super Lawyers list: “The [New Jersey] ethics panel decision is, of course, not binding on lawyers in other states, but Venable decided it ‘should be given some consideration,’ firm counsel G. Stewart Webb Jr. said. New Jersey’s lawyer advertising rules are based on the model rules followed by other states, he pointed out. ‘We basically decided prudence dictated we should not participate in the survey while the issues were still out there,’ Webb said.” Even though a final court decision on New Jersey Advertising Opinion 39 still seems pending, ten months later, on November 29, 2007, Venable issued a press release entitled “14 Venable Lawyers Named to Washingtonian Magazine’s 2007 List of D.C.-Area’s Top Attorneys,” which is a list that has included me twice in a row since 2004. It does not appear that touting a Washingtonian top lawyer listing would be any more permissible under Opinion 39 than touting a Super Lawyer or Best Lawyer listing. Is this a matter of changed policy at Venable, or a case of one hand not following or controlling what the other hand is doing? – Super Lawyers’ online position on the matter is here. – Law.com provided extensive coverage of the story on July 25, 2006. – The Associated Press reported in August 2006 that the New Jersey Supreme Court stayed Advertising Opinion 39 pending litigation over the matter. – On August 1, 2006, Law.com provided information about the lawyers hired by Super Lawyers and the Best Lawyers directories against Advertising Opinion 39. – On September 15, 2006, the New York Times covered the story. – On November 17, 2006, Law.com reported on the New Jersey Attorney General’s backing Opinion 39, but also supporting flexibility on lawyer advertising. So it goes. 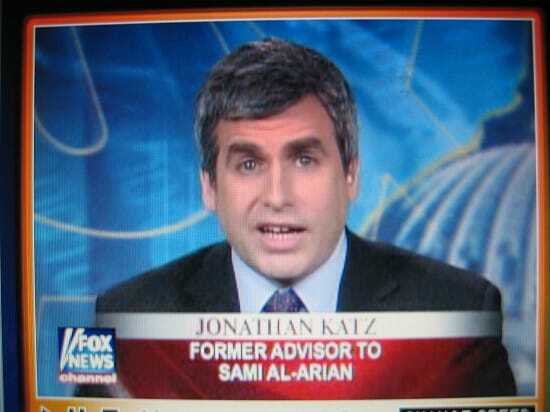 Jon Katz.